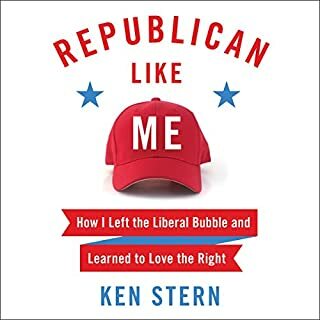 Ken Stern watched the increasing polarization of our country with growing concern. As a longtime partisan Democrat himself, he felt forced to acknowledge that his own views were too parochial, too absent of any exposure to the "other side". In fact, his urban neighborhood is so liberal, he couldn't find a single Republican - even by asking around. So, for one year, he crossed the aisle to spend time listening, talking, and praying with Republicans of all stripes. Worth a listen or read. A must read book for all. The journey of the author from bubble to bubble and the insights it brings can not be understated. The fact checking that I would expect from an NPR man really helps put into context a lot of left and right notions while seeking to end the dehumanizing divide we have found ourselves in. Informative but lacks a clear point. It sets up concepts of 'strategy' and how it was perceived only to shoot them down. Ultimately the author makes a point about how he sees it but doesn't do it justice in analysis nor application. Had he established it early and kept it as a constant comparative to others, it would have made for a more compelling book and added greater dimension to all the analysis the preceded. We are living in the most moral period of our species’ history. 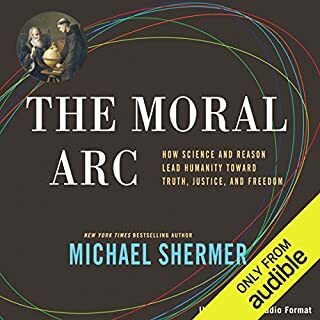 Best-selling author Michael Shermer’s most accomplished and ambitious book to date demonstrates how the scientific way of thinking has made people, and society as a whole, more moral. Ever since the Age of Reason and the Enlightenment thinkers consciously applied the methods of science to solve social and moral problems. What disappointed you about The Moral Arc? I think Michael Shermer is a decent person with a good outlook on life. Had this book been my first introduction into this topic, I think it would have been a fine primer. But it wasn't. This book is largely based on the work of Prof. Steven Pinker. It isn't an exact copy, mind you, but is focuses more on a single aspect covered by Prof. Pinker in his book "The Better Angels of Human Nature", a tome of a book that takes us from pre-history to modern day violence. Thus one would expect that this particular focus would yield even greater detail into the target issue of science and the enlightenment; alas it does not. Again, it is a fine book on its own and it does approach things in a Shermer-esce novel way, it just falls flat against its competitor and, importantly, predecessor. What could Michael Shermer have done to make this a more enjoyable book for you? I think going into far greater detail, perhaps in regards to the biological and evolutionary evidence for empathy and how the scientific approach to life alter our course would have been good. Ultimately I felt this was a pale rendition of one part of Prof. Pinker's book. I think Michael Shermer did a fine job in reading his book. Nothing earth shattering but more certainly more than merely competent. 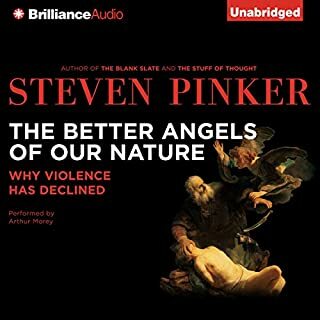 I think this book would be best recommended to those who really like Michael Shermer and have yet to pick up Prof. Pinker's work. A nice way to edge into the topic. I imagine that was one of the goals for the book: a gateway drug as it were. 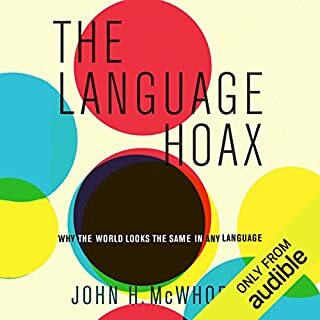 This short, opinionated audiobook addresses the Sapir-Whorf hypothesis, which argues that the language we speak shapes the way we perceive the world. Linguist John McWhorter argues that while this idea is mesmerizing, it is plainly wrong. It is language that reflects culture and worldview, not the other way around. this is a wonderful book with lots of citation to help drive home the point that it's trying to make. The author has gone through a lot of painstaking work to portray his subject matter with his much care and due diligence as possible while still refuting the overarching claim flowing from it. his care and appreciation that he shows is a nice break from the standard yelling matches that seem to plague us. 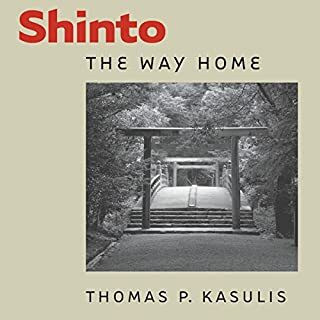 also since it is written and read by the same man there is a level of craftsmanship and naturalness to the reading of this book that was quite refreshing. I would recommend this book to almost anyone. 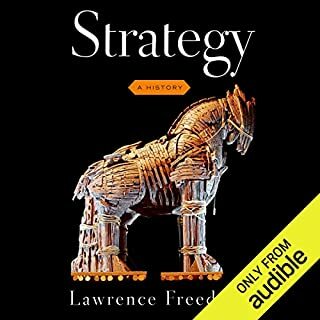 The start of the book is a bit bland amd takes some effort to get though but most of the book is well written and informative. There are times, however, that the author tries to use a $2 word rather than a 2 cent one but then follows up with a description. I think this is an annoying habit. Either use the word and expect that your audiences are at the level of understanding or just switch to using the normal phrasing. 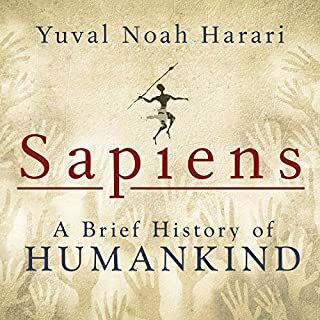 Yuval has produce an interesting book that does hit on some topics that are novel but now I am several chapters in and I find myself question what I have actually learned. Not in the sense of doubting what I have learned or my previous beliefs being challenged, but in that this book doesn't tread new territory. The most novel thing I found interesting has been some data points about the extension rates and prevalence of various animals as humans came to be their neighbors. Even this information in general is not new but was at least presented in a moderately interesting manner with some research. I think perhaps Yuval was striving to have a more universal book without having a clear voice on where he wanted it to go or what voice he sought to use to get there. Had he, for example, wrote a book regarding the cycles of the climate and the impacts of humans throughout the ages and how all of that relates to the modern discussion on climate change and extinction, he could have done well. There was certainly the beginnings of such a talk in one of his earlier chapters of this book. Would you ever listen to anything by Yuval Noah Harari again? I do not know the majority of Yuval's work. This book was a bit too disconnected and lack a real voice, though. Derek Perkins is a competent voice talent. His manner of pronouncing certain works did catch me off guard from time to time but every voice talent has their own particularities. Had the source material been stronger, I think Derek's voice would have blended in smoothly with rare notice - as a good voice talent's voice should. I think that there are several other books that would be more fulfilling than this. Not because of any particular wrong-doing on Yuval's part but just from a lack of book-scale focus and voice. 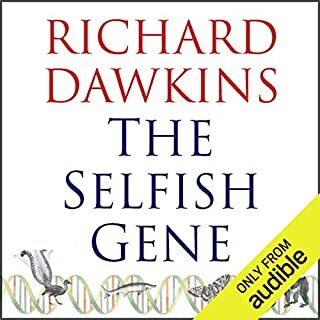 What made the experience of listening to The Selfish Gene the most enjoyable? Dr. Dawkins is a famous man with views that have been the center of controversy from various sides of the political spectrum for as long as I have been alive. Finally getting a chance to go into what I thought would be the cornerstone of his work on popular biology and evolution was great. While I do not think most of the material in here is earth shatteringly new to me, I do have to admit that I grew up in a post-Dawkins world. But that doesn't diminish the nuanced and articulate ideas expressed in this book. 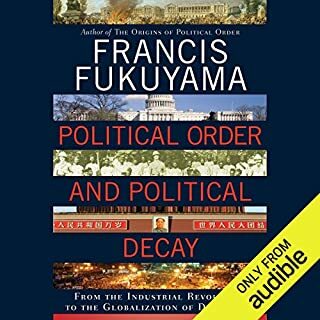 And by knowing the book on a first hand basis, it better prepares one to discuss the social and political aftermath of the book in a coherent manner. This book has two narrators. Both are individually good speakers and I would have enjoyed listening to either one of them at length. However, since both speakers are interchanged it can sometimes be jarring. This is especially apt when Dr. Dawkins starts a sentence or thought and allows it to be finished by Lalla Ward. While I came to anticipate these and found them less invasive as the book continued, it was something that really did annoy me. I would have greatly preferred a single narrator for this book. Steven Pinker is a knowledgeable profession who knowa how to pace a book so that you are constantly receiving information but which build on itself so that even if single points get muddled, it will be clarified soon after. The variety of detail and positive worldview contained are refreshing.